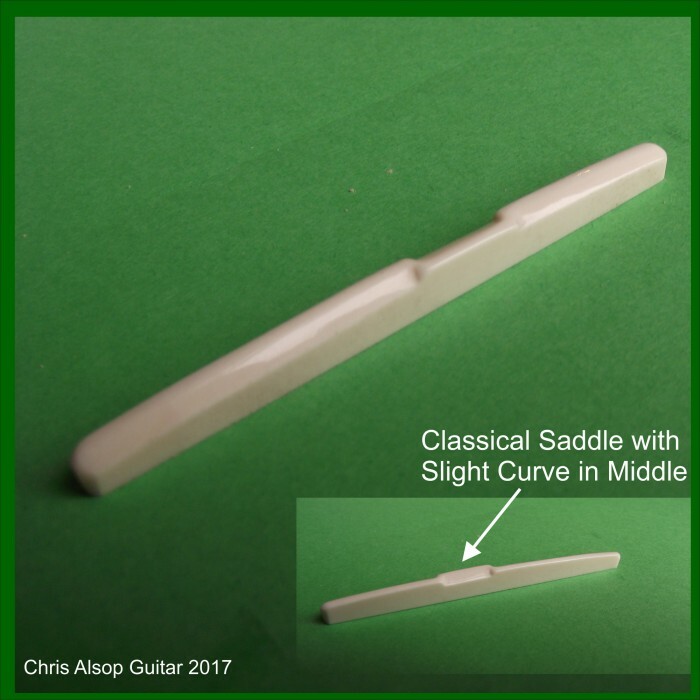 This is a bone saddle for classical guitars . 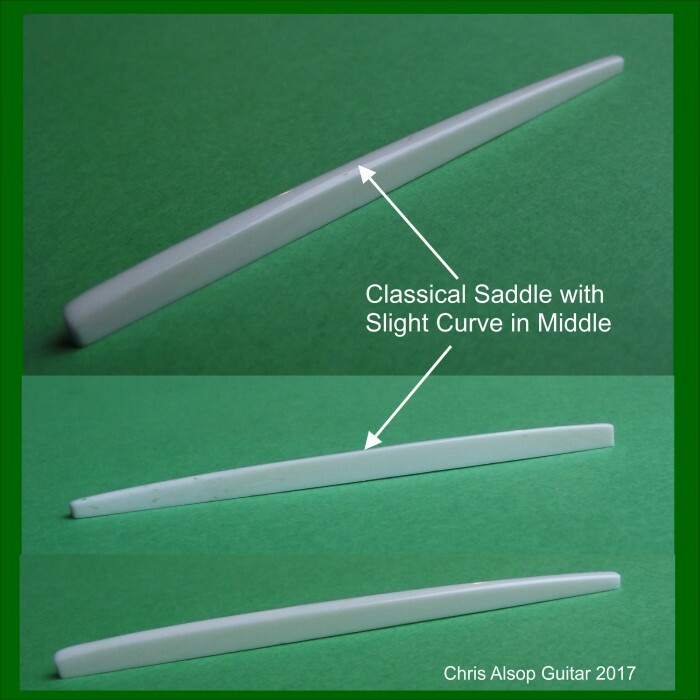 Most classical guitars have flat fretboards, and so the more common saddle has a straight slope. 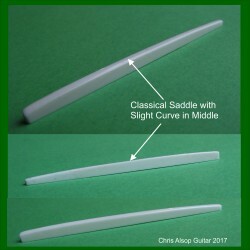 A curved classical saddle will raise the centre strings by a fraction which can be beneficial for the right hand technique especially strumming type actions and rasgueado. The height increase in the middle is small enough to make little difference to the left hand fret action. 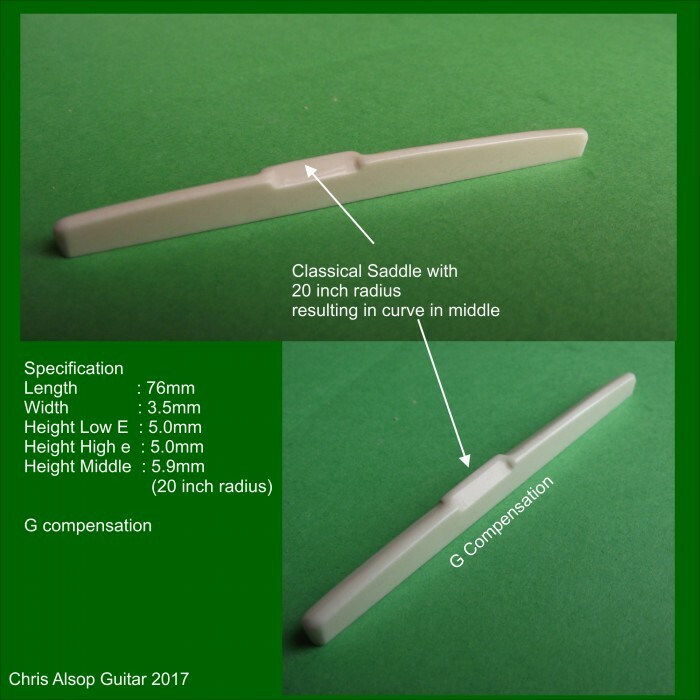 Some classical guitars have a slight radiused fretboard and therefore require a curved saddle to ensure even action on the left hand across the string set.